What a difference a decent spell of drying wind and sun makes, even hitting the dizzy heights of 21degC on Thursday. 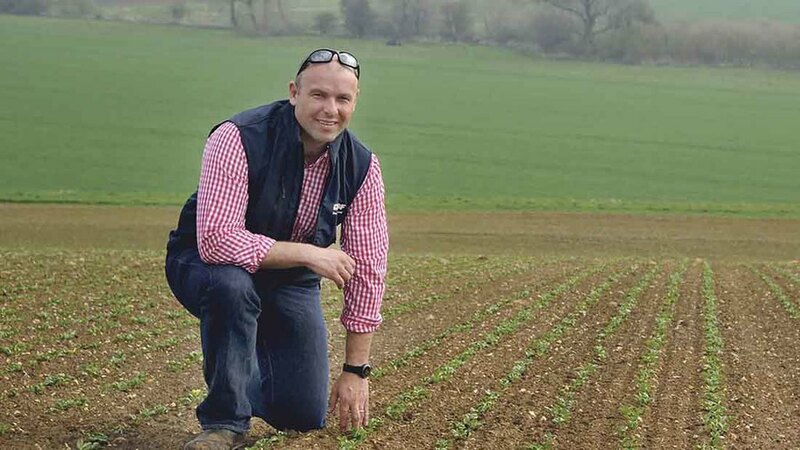 It was almost cue to grab some shorts and dust the BBQ.This week has seen us punch a large hole in our spring drilling campaign, with beans and oats completed and spring barley wrapped up hopefully by the time you have read this column. Conditions on the whole have been excellent and certainly this week a decent dry surface crust with good moisture underneath has been the perfect ingredient for drilling and good seed coverage. A large proportion of our ground has been no-tilled after cover crops and this has been winning hands down for moisture retention. It has been a stark contrast to the vagaries of cultivated land, where any pre-drilling cultivation was used. Moisture loss has been rapid, even if there seems plenty, it does not take much drying weather for it to disappear and can be the difference between success and failure in a dry drilling window. The workload on the sprayer has been the biggest frustration, with limited spraying days in the past two weeks, but good progress with pre-emergence sprays and the T0 programmes has been made where possible. I tend to select varieties with good disease profiles and I am glad I do not have a ‘rust bucket’ when spraying opportunities are limited as they have been recently. It was a pity the e-grain passport idea has been shelved after some considerable expense by AHDB to push the idea forward. By all accounts, not everyone was in agreement with the proposals. A system which would potentially provide complete transparency of information for loads of grain leaving the farm sounded like a good idea to me. It has been a frustrating year, with some loads of grain rejected and, when it happens, all the cost is passed on to the farmer and no-one else. Each time a load of milling wheat went out, it rendered me in a cold sweat, worrying whether it will get past the sampling point. It also makes a mockery of retaining samples on-farm for assurance schemes. They count for nothing when there is an issue, as the only sample which is accepted is the one at intake – a crazy situation. With any luck we may have a quieter Easter, which is testament to the efforts by the team on-farm and this can only mean more time for Easter eggs, for the children of course.